Here's our complete roundup of leaks and rumors surrounding new characters, like Wattson, and more coming to Apex Legends. With a game as popular as Apex Legends, there are always rumors and speculation swirling about the game, especially when data miners dig up anything new. In this Apex Legends rumors page, we'll be documenting every rumored piece of information about Respawn's game so far. If there's any additional details on future content coming to Respawn's Battle Royale game over the coming months, you can check out our full Apex Legends Season 1 guide. Here you can find all the details on the upcoming debut seasonal event taking place in Apex Legends, including the new Battle Pass, and much more. There are eight total characters to play as in Apex Legends, although two of these are locked behind the Apex Coin currency. If you need any additional information on the current character roster in Apex Legends, including a list of abilities and unique equipment, head over to our Apex Legends characters guide. 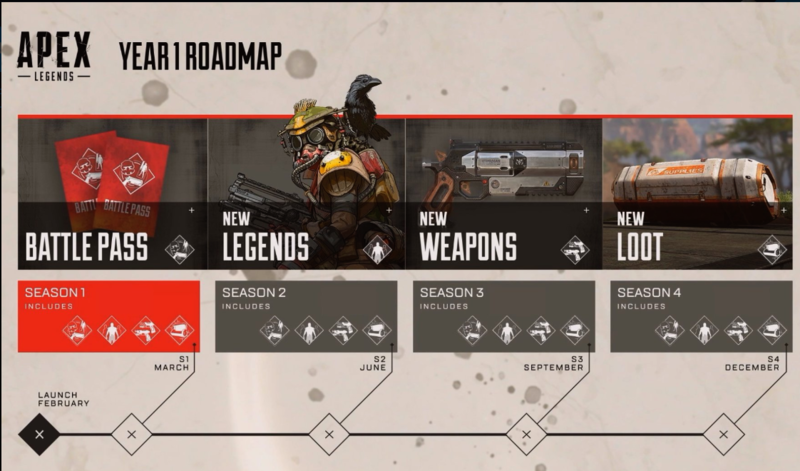 But as you can see in the graphic above from Respawn, there are going to be four seasonal events taking place over the rest of 2019 for Apex Legends, and there will be new legends introduced to the game in each event. One new Legend that's constantly been under the microscope of data mines is Wattson. The only thing we know about how Wattson plays is the fact that the character will have a Tesla Trap, a unique item of some sorts as detailed in the data mine below. It was previously speculated that a Solo and Duos mode could be coming to Apex Legends, after multiple files hinting at the modes were uncover earlier in March by data miners. However it would appear this might no longer be the case, as all mention of Solo and Duos in the files for the game have since been entirely removed. A new, second map coming to Apex Legends is something that's been constantly rumored, going back to the weeks after the game first launched. In the tweet below which sums up a data mine, a few files seem to point towards a second map coming to Apex Legends. It goes without saying that all this information is unconfirmed by Respawn at the time of writing. There's no indication that any of the rumored features on this page could be coming to the game, so take all these leaks and data mines with a pinch of salt. Tagged with Action,	Battle Royale,	Co-op,	FPS,	Guides,	PC,	PlayStation 4,	Respawn Entertainment,	Shooters,	Survival,	Xbox One.